Tucked away in the Andes mountain range, the small city of Ayacucho was the birth place of the notorious Maoist insurgent group, the Shining Path (SP). The movement began in the 1960s and 70s in the University of Huamanga, and then spread out into the surrounding communities in the early 1980s. At first, the ideas and ideals of the Shining Path revolution were attractive to many Ayacuchans, the majority of whom were quechua-speakers campesinos (farmers or peasants), who as a population had been historically excluded from full participation – economic, democratic, and social – in the Peruvian nation. Slowly, however, as rural communities began to witness SP’s use of violence as a tool for discipline, punishment, and social control, many began to turn their backs on the group. In some villages ronderos (civilian guards) were formed as a mechanism of defense against the Shining Path. The rondero groups were themselves notoriously violent, especially those which allied with Peruvian armed forces. The Peruvian military itself was also heavily complicit in violence that constituted violations of human rights; in its desperation to rid the country of leftist “terrorists,” it massacred and “disappeared” civilians throughout the 1980s and 1990s. This last point was driven home for me in no uncertain terms when, upon arrival in Ayacucho, I visited Los Cabitos, a former military base in the desert just outside of city limits. Hundreds of people were said to have entered the base and never been seen or heard from again. These accounts were confirmed when the Specialized Forensic Team (an entity of the Peruvian judicial branch), exhumed more than one hundred dead bodies from impromptu graves in a small valley behind the base. The entire area is still today covered in the grids left behind from the forensic archaeological excavations (pictured). Perhaps even more haunting was the infamous Cabitos oven, which was eventually installed by the military to burn bodies and dispose of remains more effectively. During the excavation, calcined bone fragments, especially teeth, were said to have been found under the site of the oven and scattered around the perimeter of the property. Although it is possible to extract DNA from bone, the charring and calcificaiton of remains greatly reduces this prospect and limits forensic investigators’ ability to identify remains and accurately estimate the number of people killed at Los Cabitos. The relatives of Ayacucho’s disappeared, in particular the association ANFASEP, were the mobilizing force behind the exhumation of Los Cabitos. They came together to demand that these crimes be investigated, the bodies identified, and hopefully, for those responsible to be prosecuted. Unfortunately, justice for this case will be, at best, delayed. Now three years after the completion of the exhumation, the vast majority of the bodies have yet to be positively identified and returned to the victims’ families. I spoke at length with Isabel (pseudonym), who has reason to believe that the body of her brother may be among those of the Cabitos case. In 1983, when Isabel was a young girl and her brother was 19, military soldiers forcibly entered her family’s home in the middle of the night to detain her brother. They took him away and he was never heard from again. Later in that same year, Isabel’s father was detained and taken to Los Cabitos military base where he was severely beaten and tortured, but then released. During the exhumation of the base, Isabel and her family gave DNA samples for comparison to exhumed remains, with great hopes that Isabel’s brother would be identified and returned to them. Isabel stressed to me the anguish of not knowing, the pain of the uncertainty. To come to know for certain her brother’s fate and to be able to give him a proper burial attended by family members, is what Isabel most hopes for. During my time in Ayacucho I met with representatives of different organizations that do work related to past violence, including: the Peruvian Forensic Anthropology Team (EPAF, an NGO), legal aid organization APRODEH, Ayacucho’s Memory Museum, the Specialized Forensic Team (EFE), and the International Committee of the Red Cross which assists families in the final stages of the forensic investigation. I also became familiar with national plan for victims’ reparations (both monetary and symbolic) and the legal processes through which families must go to legally denounce political crimes and initiate a forensic investigation. As I became entrenched in the complicated web that is Peruvian post-war politics, many questions came to mind. The most nagging one to me has to do with the role of the Peruvian government as criminal investigator of past political violence. How can the government and its criminal and forensic investigative teams be trusted to a) impartially collect and present forensic evidence, and b) prosecute war criminals when it was one of the perpetrators of that same violence? The most obvious answer to these questions can be summed up by the concept of “transitional justice.” Although there have been no peace accords between the Shining Path and the Peruvian state, the 2003 Truth and Reconciliation Commission (TRC), and above all its policy recommendations, laid out a framework for the successful reform of the state. Many of these reforms have been implemented, but others have lagged behind. 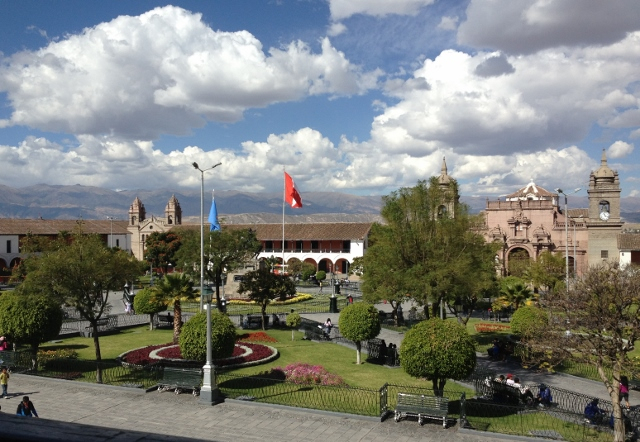 To what degree is transitional justice functioning in Peru, and what effect does this have on families of the disappeared? The well-known incarceration of former Peruvian president Alberto Fujimori for human rights abuses during his tenure in the 1990s is one solid piece of evidence that the Peruvian judicial system is capable of prosecuting former state officials. But perhaps the better question is: can the Peruvian state guarantee to victims of rights violations that it can be trusted to properly investigate and prosecute war crimes committed by the Peruvian Armed Forces to the same extent that it prosecutes those committed by the Shining Path? To these questions I received a wide variety of answers from different people during interviews, indicating to me that this is fertile ground for further exploration! 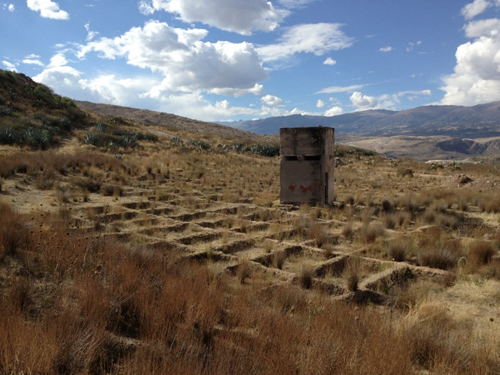 This entry was posted in Recent Research and tagged Ayacucho, memory, Peru, Violence. Bookmark the permalink.